Image courtesy of Dhani Jones. At roughly 3 PM, a massive hailstorm descended on the WIM offices where I work out of on Appguppy‘s behalf, and viciously attacked the skylight over our heads. Everyone in the office took refuge in the back corner near Lionesque and Loudly. Thankfully, the skylight did not shatter, and rain and hail did not descend upon our computers. However the internet vanished in seconds, and cell phones in the office received text messages warning of possible loss of service. After the internet vanished, I decided to go home and skip my planned nighttime events. What rumors I heard, were that some other buildings experienced flooding, power outages, and other such maladies. 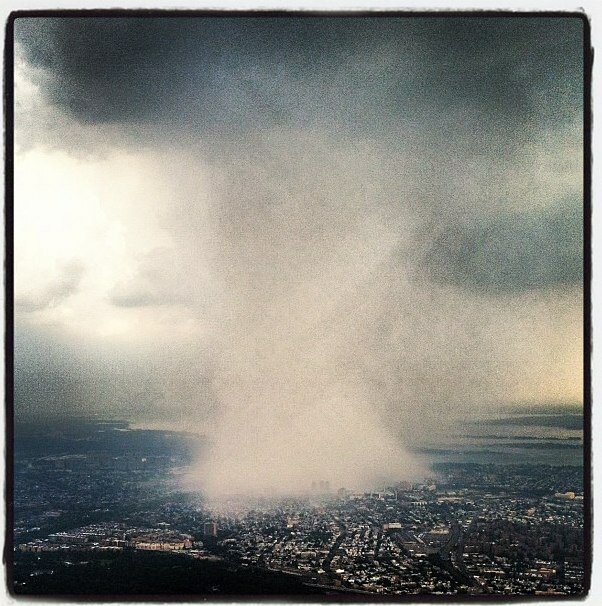 Were you in NY during the crazy storm? What was it like for you?